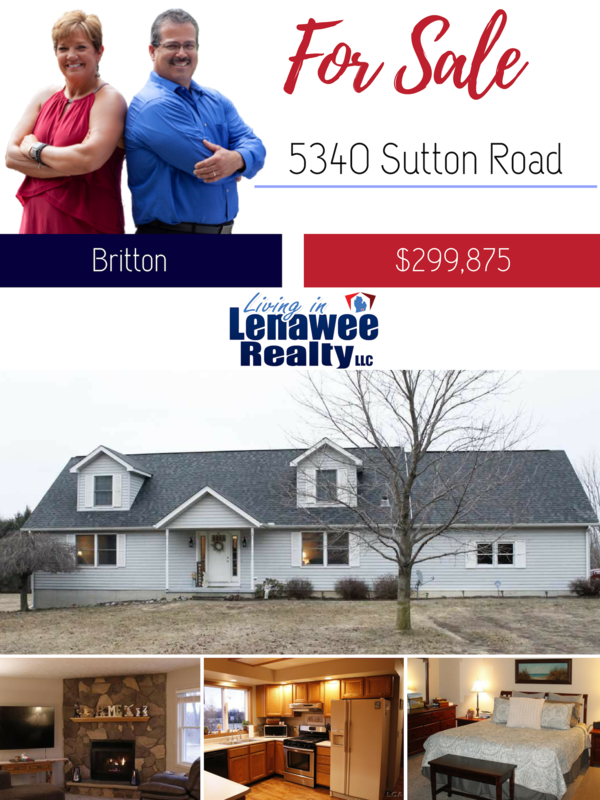 Welcome to 5340 Sutton Rd in Britton! 3 Bedroom house For Sale in Britton, MI! with jetted tub and walk in closet plus bonus closet! Great for entertaining! The open floor plan offers spacious kitchen with pantry, dining space and open family area. to run around, play ping pong or just hang out! You’ll love the private 10 acres with large pine trees, recreational area, or ready to go soccer/ lacrosse field area! Convenient location whether your heading to town, work in big city, or just want to stay-cation and grab cider and donuts at the orchard!!! Call (517) 403-6939 for a Private Viewing!